Where Can I Get A Job As A Social Worker? You’re considering a career in social work, you’ve newly graduated with a social work degree, or you’re beginning to think about life after graduation and you’re wondering, “Where Can I Get A Job As A Social Worker? Social workers are professionals who help people overcome obstacles and live better quality lives. They may help people with substance abuse problems and homelessness. They are experts in finding resources for needy people. They may help to alleviate child abuse, poverty, violence or other problem social areas. A social worker should have an interest in solving the problems of a particular population. For example, a social worker who enjoys working with children and their parents would be a likely candidate for a social-work position as a program coordinator of an after school childcare program. There are as many jobs in social work as there are people asking, “Where can I get a job as a social worker? A social worker must have a bachelor’s degree in Human Services, Social Work, Sociology or Psychology and a master’s degree in Social Work from a qualifying educational institution. A graduate with a bachelor’s degree in any of the social science fields may be able to obtain entry-level employment in social work, but most states require a master’s degree in Social Work to work in the education or healthcare fields. 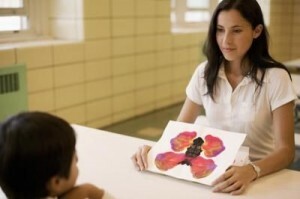 Social workers with a master’s degree in Social Work can enter a Ph.D. program in Social Work. A social worker with this advanced degree may enter the research or educational areas of the field of social work with the goal of resolving certain issues within various populations. All social workers are required to be licensed by their state and complete either two years or 3,000 hours of supervised interning before they can practice independently. Licenses must periodically be renewed. This is satisfied by continuing social-work education. Additionally, some states require all social work candidates to pass an examination before they can qualify to receive their state licenses. Social Workers must be good communicators and must be able to gain the trust of their clients. They must also be able to handle pressure effectively, be resilient and exhibit good problem-solving abilities. Social workers must accept diversity in the populations they help and be able to see beyond their own experiences and expectations. They must also be aware of the different needs and hardships of people with differing backgrounds. Social workers must be capable of forming professional boundaries and managing boundary issues and violations in their professional practice. Where Can I get A Job As A Social Worker After Graduation? Between 2012 and 2018, social workers will be in the fastest growing profession. You likely aren’t the only person asking “Where can I get a job as a social worker?” There may be competition for job positions in the metropolitan areas, and rural communities may present more employment opportunities. Many jobs will become available, though, as the baby-boomer generation retires from social work. The average salary for a social worker is $53,000 per year.